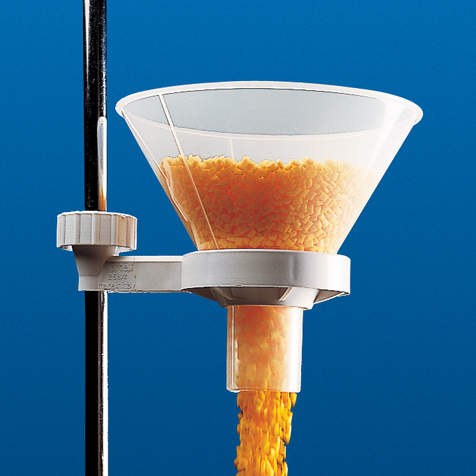 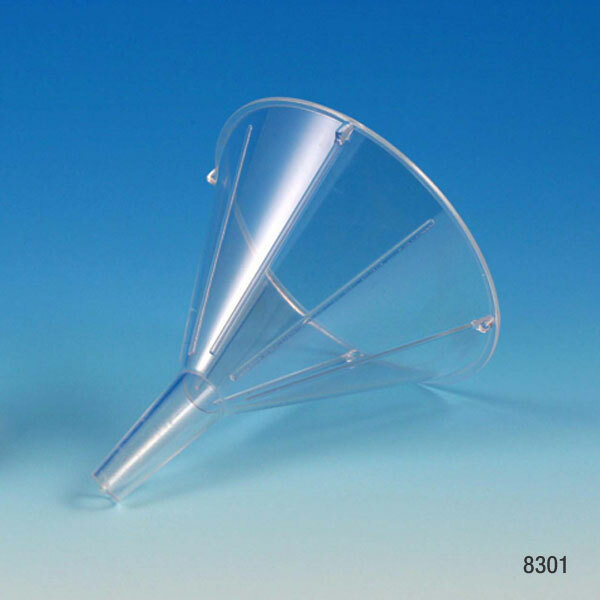 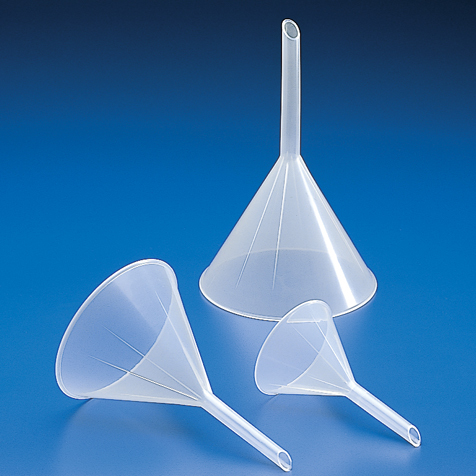 Globe Scientific offers the full array of high-quality Kartell plastic funnels. 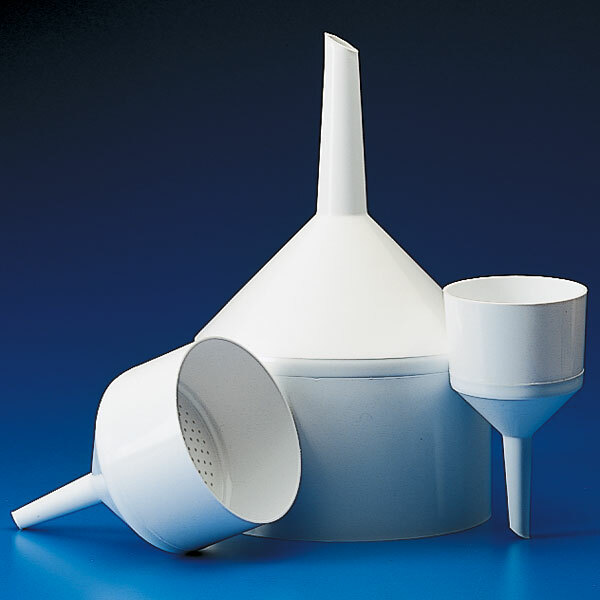 The product line features analytical chemistry funnels, wide bore powder funnels and Buchner funnels for vacuum filtration. 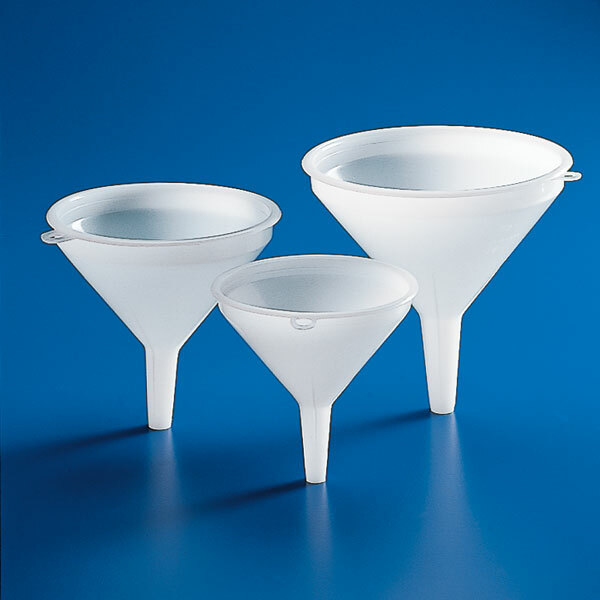 All are approved for use with food products.